Volleyball tournament for co-ed teams! 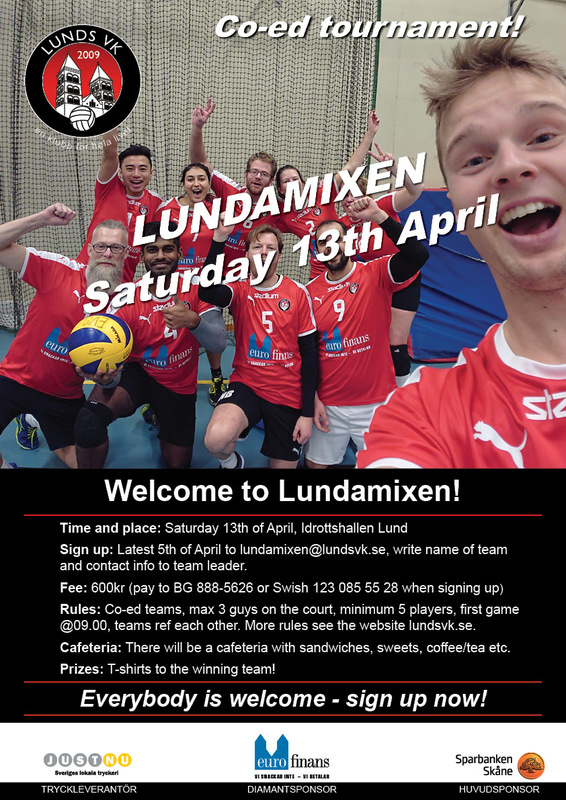 Sign up: Latest 5th of April by emailing lundamixen@lundsvk.se. We need the name of your team and contact information to the team leader. Fee: 600SEK (pay to BG 888-5626 or by Swish to 123 085 55 28) when signing up. Cafeteria: There will be a cafeteria with sandwiches, sweets, coffee/tea etc. Prizes: T-shirts to the winning team! Everybody is welcome – sign up now!